The first step for creating your own future is choosing the layout of your portfolio in the design tab. In Worka we know how important is a good template for making your work look good. That is why we are constantly improving our templates and launching new ones regularly. Every theme is adaptable to your needs and allows you to customize it. Moreover, you can change it whenever you want without extra charge. For choosing your template go to Design and look for the theme that fits you best. 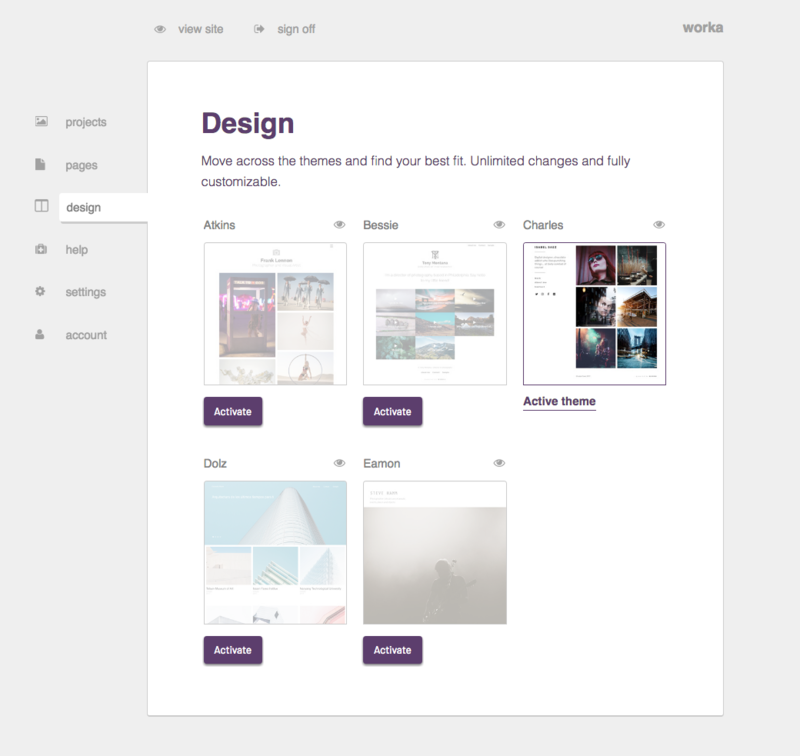 Make sure you preview the result of your portfolio and the pages created before uploading! Customize it and… that’s it! Amaze the world. Your next step is adding your projects.